Dreaming of Blue by Regina Silveira is an artwork that must be seen in person to truly appreciate it. I had seen this artwork several times in photos from various people but I had dismissed it as being something completely boring before I visited it during the 2016 Setouchi Triennale. When I saw it in person with a beautiful blue sky, the work really resonated with me and my mind changed completely. 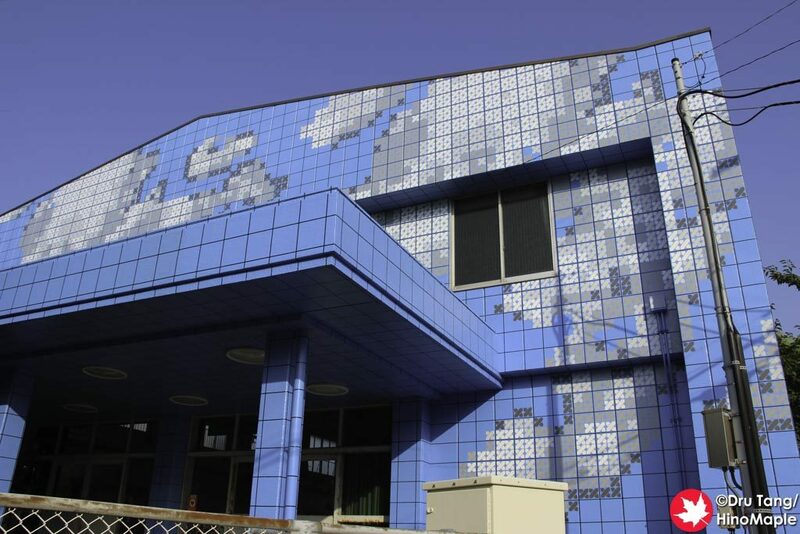 Dreaming of Blue is a very simple artwork that covers the facade of the Ogi school gym. 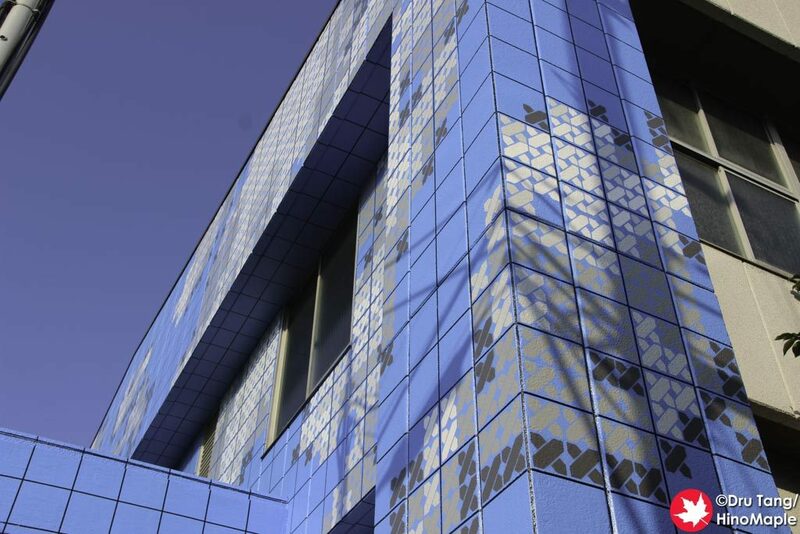 The base of the facade was painted a beautiful sky blue with various tiles painted in different shades of grey. The grey tiles were actually blue with a grey “X” painted on top of each tile. Each tile alone is not special but as you move away it becomes clear that it is actually a pixelated form of the sky with a few clouds in it! I had never really imagined it this way when I had seen photos of it but when I was there in person it was completely different. Dreaming of Blue is very difficult to photograph but it is still very beautiful. I only got a few photos of it and I wasn’t very happy with the results. I really needed a wide angle lens but that wasn’t going to happen this time. I was more than happy to just relax in front of the gym and enjoy the view with my own 2 eyes and I highly recommend you also do the same. 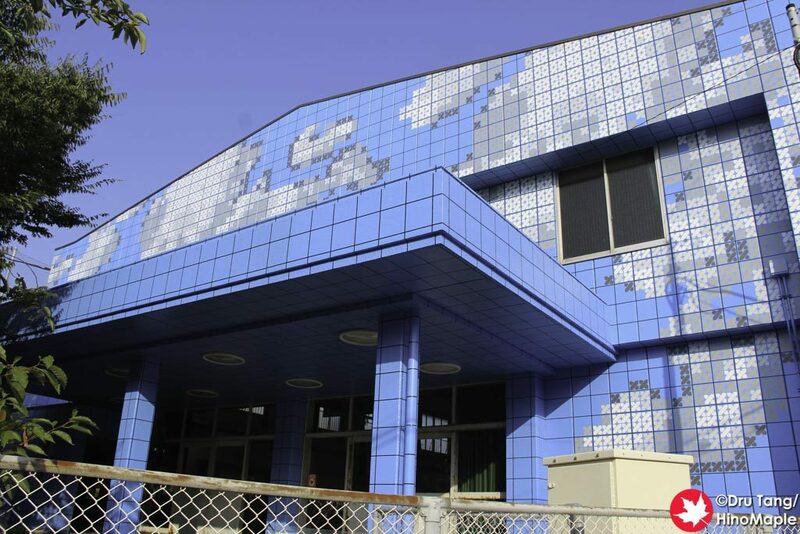 This entry was posted in Setouchi Triennale and tagged Dreaming of Blue, japan, Kagawa, Ogijima, Regina Silveira, Setouchi Triennale, Takamatsu by Dru. Bookmark the permalink. Ironically, I think I “prefer” it in pictures than “in person”. But maybe it’s simply because in person, I’ve gotten used to it to the point it’s part of the landscape (cityscape?) and I don’t pay as much attention to it? Now, don’t get me wrong the school gum looks much better this way (I kinda wish all of it had been painted and not just the front). I can see what you are saying. I kinda felt that way with the Wallalley. It just seems normal now. If they did the entire building, that would be pretty cool. PS: I’m not surprised. Word Camp looked like fun!